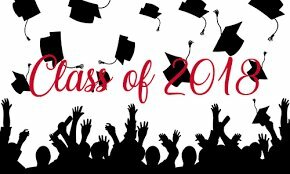 **Graduation Exercises - Saturday, May 19, 2018 at 9:00 a.m.
Tuesday, May 8th - 9:30 a.m.
Wednesday, May 9th - 9:30 a.m.
Thursday, May 17th - 9:30 a.m.
Friday, May 18th - 9:30 a.m.
During the presentation of seniors/awarding of diploma we asking that you hold your applause until the last graduate on each row has received his/her diploma. Balloons will not be allowed in the gymnasium during the graduation ceremony. For more information please contact Ms. Billie Mallory, Graduation Coordinator at (229) 942-2300.